NGC 1491 is an emission nebula. 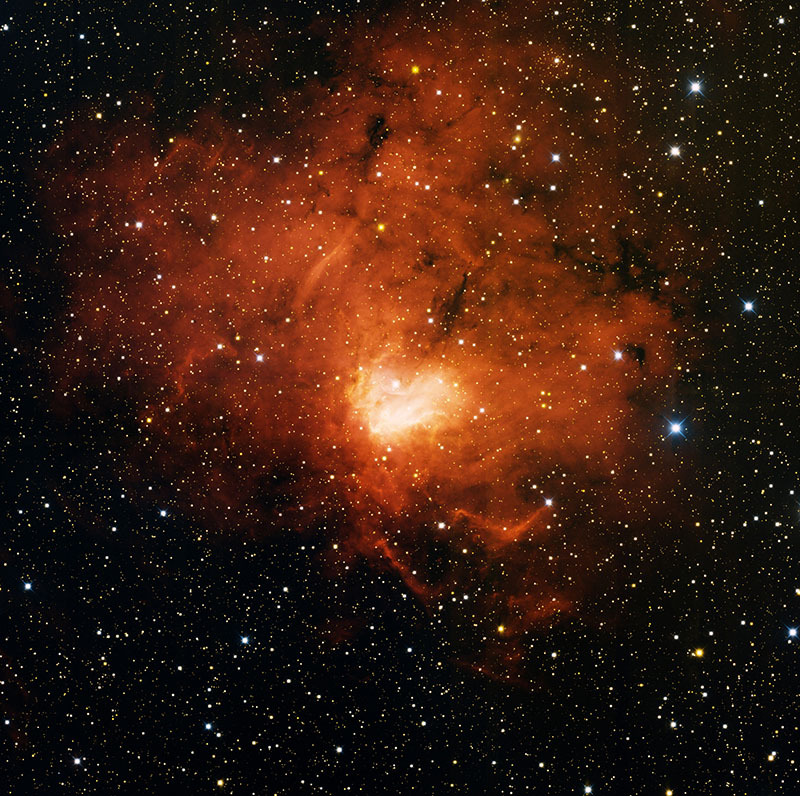 It is glowing deep red because the hydrogen gas in the nebula is energized by hot, massive stars embedded within. These stars emit copious amounts of ultraviolet (UV) light that causes the gas to glow.